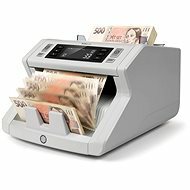 Banknote counters count cash quickly and accurately, in a number of currencies. Better equipped models also allow you to count coupons, meal vouchers and other valuables. 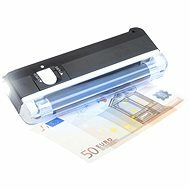 Counterfeit detectors are also important, which quickly verify the authenticity of banknotes, payment cards and identity documents. 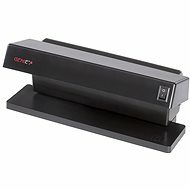 There are also multifunctional devices - they work both as a banknote counter and a counterfeit detector at the same time. 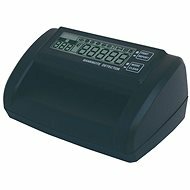 Banknote counters make work easier and reduce the risk of loss due to human error. 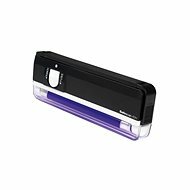 They come in a classic desktop design or in a pocket size - this is ideal for those who spend a lot of time traveling. 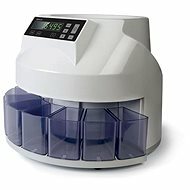 Counts at a rate of 600 banknotes per minute. Counts vouchers and other valuables. 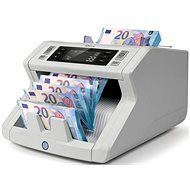 High capacity (up to 1500 banknotes per minute). Automatic start and stop function. Possibility of counting banknotes in a bundle. Alarm signal when counterfeit is suspected and countdown stopped. 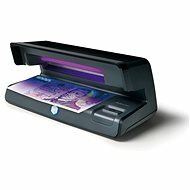 The presence of infrared and magnetic ink on banknotes. The presence of a metal strip and a watermark. Size, colour and thickness of the banknote. More advanced models can identify multiple currency types, and some counterfeit detectors can also be used to check the authenticity of identity cards, credit cards, and other documents with security features. 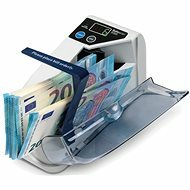 There are also multifunctional devices that act as a banknote counter and counterfeit detector at the same time. It is very helpful with counting cash and detecting possible counterfeits. 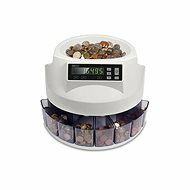 How to Choose a Money Counter? 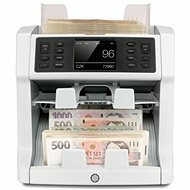 Selecting a suitable banknote depends on how much and how often you work with banknotes. According to that, select the device whose functions best suit your needs. 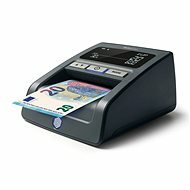 If you also require authentication of banknotes, it is important to have a number of counterfeit detection mechanisms. In addition to the number of functions you want, consider the dimensions of the device as well.